Letting Creativity Just Slip In | Let's Live Forever! I had a conversation with my mother the other night about the creative process, and I thought ah-hah!… I could write about this. She was saying how she came up with a poem about apples a few years ago, while driving through apple orchards and then on homewards (she lives in the country). As she kept driving the poem came bit by bit… she said that the words “just slipped in”. I thought that was a great way of putting it, and it’s how it happens with me, too. Then I was thinking about how I set things up to allow those words and ideas to “just slip in”. Being still or meditative in some way is necessary, but I’ve also noticed that if I provide a structure for my creative product, the goods are more likely to come to me. I first noticed how structure helps years ago when I was trying to write songs… I found it quite easy to write words to a 12 bar blues. And I think a lot of other people do, too. In fact it’s so easy that writing a blues isn’t even considered writing a song, really (I mean… there are lots of great 12 bar blues songs out there, but it can also be a bit of a cop-out, songwriting-wise, in my opinion). I realised it was easy because the form is so clearly defined—the words just come. The words of blues are usually about how my baby done left me, or something, but at least they probably came easily to someone. But it’s sure good to be home at last. Also, when writing these kinds of books, I am told the number of pages, the number of words per page and various other specifics. Having somewhere to slot the words in made it MUCH easier to get creative in ways of covering the topics. I couldn’t have done it otherwise, I think. It would probably start off with a medium-length sentence. Then comes a fairly long sentence with quite a few words and a few phrases in it, to pad it out, because I need an example of a long sentence. Then I write a short one. Now I’m doing this blog, and I’m so enjoying being FREE to do what I want with it! I find I’ve settled on a structure, though. I’ve decided to post once a week, late Monday afternoon. I’m deciding by Friday what my next post is going to be about, then I write it over Saturday, Sunday and Monday. Then when I do write, I find the rhythm usually comes first and the words slot in. I had quite a few appreciative comments about my comic in my last post This Blogging Life! Thanks everyone! Words like “awesome”, “brilliant” and even “genius” got used—wow! The thing is, the software I used, Comic Life, provided a structure so the ideas could just slip in. 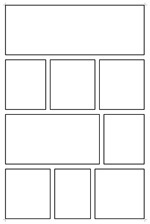 When you open a document in Comic Life, the first thing you do is drag a template onto the blank page, to get your empty boxes that need filling. You collect images you might use and put them in a folder, then you start dragging them into the boxes. Once you’ve filled 2 or 3 boxes, it’s not that hard to start seeing a story… add a few more pics, move some around, experiment a bit more, and Hey Presto! A comic! It’s not like you sit down and think up a whole story and then think up how to make a comic out of it… I’d NEVER be able to do that! All of this reminds me of those words from the movie Field of Dreams where the guy builds a baseball field on a farm, after hearing the words “if you build it, he will come”—and it worked. Maybe we can build structures for our creative projects, on lots of different levels… then the ideas will come. By the way… I’m not putting Mum’s poem in, as much as I’d love to, because I’m not sure about how to handle internet publicity for her, just yet. * * *Anyway, comments are most welcome! And happy creating everybody! Nice post. Also based on http://bloggingwithoutablog.com/psssst-your-blog-is-showing/ I looked at your blog. You have a very nice design in my opinion – simple, content focused, personable (photo of you), some ads that don’t detract from the site. John Hunters last blog post..Can I Afford That? Hi Robin – that looks like a very nice park. Clearly a great source of inspiration if one’s trying to get past a writer’s block. Wow!! I am impressed! I did not realise that you write Children’s books too. You’re certainly highly creative! I’d better get your autograph first before you become too busy! I’ve never heard anyone say it that way before, but I couldn’t agree more. In every one of my children’s stories, the rhythm just bounced out and the actual words came next. I know exactly what you mean. “Also, when writing these kinds of books, I am told the number of pages, the number of words per page and various other specifics. Having somewhere to slot the words in made it MUCH easier to get creative in ways of covering the topics. I couldn’t have done it otherwise, I think.” I found this interesting. I do have some structure on MomGrind- I post 3 days per week and tend to participate in Best Shot Monday and Wordless Wednesday. But other than what, I write whatever I want. I also write a corporate blog, and I find that much harder to do, BECAUSE I’m required to follow certain rules and formats and SEO guidelines. It’s much easier for me to write when I am free from structure. Wow to all your publications, and upcoming publications. Rock on! I do and I do not have structure for my blogs. Since the Lion and I co-blog, we brainstorm on ideas. Good thing, since we are posting 6 days out of 7. Coming up with that all by myself would be hard on the brain. Then, if the Lion writes his first, and I’m doing the rebuttal, I have something to bounce off of. If I’m writing mine first, it tends to drift in. First the general idea, then the specific idea, then fragments of clever and witty sentences. This usually while I am doing something physical, but mindless, like gardening, housework or running. Then I sit down at the laptop and start to write. This is where it flows into a coherent story. There is style structure built in, that I no longer think about. One of my dad’s hats was editor, so I learned proper writing technique at an early age. If I was to write a book (waiting on the book deal *smile*) I would definitely use a structured top down approach: theme, chapters, sections, paragraphs. @John – Hi and welcome! Thanks on both counts – I like the ol’ MistyLook (theme). @Al – yeah the parklands are great. I walk in the streets though if I am trying to write, because I need to walk by myself, and we always go to the parklands together. @Evelyn – thanks! The book-writing thing is always more impressive to other people than it is to me – I’m prouder of other things… oh well! @Writer Dad – Hi and welcome! Yeah (about the rhythm) – it’s not a huge thing – it’s just something I noticed. 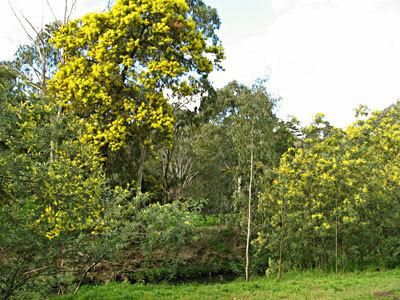 @Vered – We are very lucky to have the parklands nearby! I’m really enjoying being able to write what I want on this blog – but I wouldn’t have written those astronomy books if I hadn’t had some structure (because I don’t naturally think about that material all the time). @Urban Panther – great to hear how you do things. I get ideas when I am doing something “mindless” too! Well, now we know something new about you. Fifty two children’s books under your belt and more to come, excellent! I’ve written about creativity in my blog and what I see here are two important techniques: one is expansive (going for a walk in the park and allowing the ideas to “come to you”) and the other is restrictive (creates a constraint and forces your mind to focus). That park looks like a great place to go for a walk! Wow! I just discovered your blog, but I just wanted to say kudos to you on writing all those books. I plan on publishing novels in the near future, and I find your story very inspirational. I think writing non-fiction is also very exciting! Nathalie Lussiers last blog post..Is Your Relationship with Money on the Brink of Divorce? I just want to remind you – don’t get so caught-up in routine. Though for selfish reasons I wish you would blog more frequently, if it’s not there for Monday – I’ll be waiting for you on Tuesday…and it it happens to show up on Sunday instead…well, that’s prety darn good too! I also have a similar blogging rhythm. On average I post one a week on Mondays. I use the week-end to write a post. If I have more than 4 blog posts in my “ready to go” pipeline (Which rarely happens! I do have a full time job!) , I publish one on thursday as well. 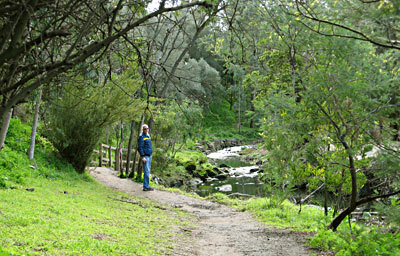 @Marelisa – thanks Marelisa – I think those are good ways of looking at it – and yes, the parklands are really wonderful. @Natalie – Hi there and welcome! Yes – I found non-fiction for children to be more interesting than I thought it would be. My first books were about astronomy, and I was blown away by the artwork and design the publishers did – I was expecting something much more dry-looking. @Rita – Hi! Glad to see you! Somehow having the routine actually helps me to have ideas (and not panic if I don’t). If I really can’t post, I just won’t, though. @Shamelle – Hi there! That’s really interesting that you have the same rhythm as me – the prevailing wisdom seems to be that you need to post at least 3 times a week. Cheers! NO-ONE HAS SAID ANYTHING ABOUT THE HEAD LICE! You’re not just an author, you’re like a super author. 52 books published is amazing! How did you get started doing this kind of thing? Like you, I started my blog to FREE write and escape the monotony of copy writing brochures and websites. But I have trouble putting too much structure in at SHE-POWER. I currently have 56 draft and basic idea posts filed away for use and the reason there is so many is because I often start to complete a post, find the magic isn’t there, so I abandon it and do something else. Sometimes the second idea will be drafted and written final product in 60-90 minutes, while I may have spent hours trying to ‘make’ the first post work. I have tried to learn from this recently and not fight my flow. Now, if it isn’t working, I just abandon the post to the drafts section and go for a run, do anything else except write. I soon find the right idea comes to me and I know what I have to say that day. I really liked this post. It had a soothing meandering quality that you don’t often see online, but I like. Some sort of structure/preparation also helps my creative flow. My structure is pretty carefree and I try to be sure I have the right tools at hand (caring a pen and notebook with me so I don’t lose those whimsical thoughts that quickly come and go, having paints and a canvas in my home, placing my journal on the counter so I see if every day, etc). In a way, it’s preparing for opportunities to create. That’s one of the better posts on creativity I’ve read. It’s a funny thing — creativity seems to desire harnessing in order to be unleashed. I’m a songwriter at heart, and I love the challenge of writing children’s songs for a charity organization called Songs of Love http://songsoflove.org I got sent a profile of kids with serious illness, and I wrote and recorded a personalized song for them, in about 3 weeks. The organization had all kinds of structures and protocols of how to write a song — but I never missed my deadline! And some of the songs turned out great, and most of them turned pretty well. A completely blank canvas is hard to get going on. Limitations and concrete problems can get me creative like no other. For me, it’s sometimes that the thought “just slip in”. And a flow does get going. I had that tonight on my way home from work. Other times, there’s nothing happening. So, I like what you’ve said about creativity just slipping in. With a little structure, the creativity of an individual can accomplish much and go in many different directions. And, you are a very creative person Robin! Really enjoyed this article. I can see why you liked my article “Eckhart Tolle’s Guide to Writing” – your writing process sounds very similar to Tolle’s! 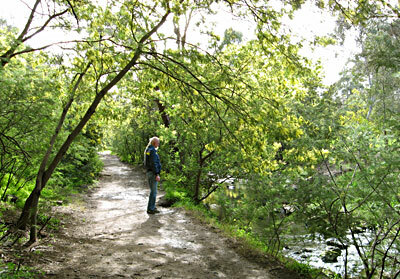 Also, love those pics of the parkland. There are some beautiful spots here in Vancouver, but as you know the Australian flora and fauna is very unique. Ahh… Australia… why is it so far away? That is terrific that you’ve written those books! Awesome! As for letting creativity just slip in… I need a shoe horn these days. I have about 13 (yes 13) incomplete drafts for my blog. I’ve been working on one today, funnily enough, about creativity and am getting nowhere… sigh. I LOVE those photos you shared. Maybe if I stare at one long enough the doorway to creativity will open. HELP! @Kelly – I feel a bit embarrassed, now – 18 of the books were for 6 to 8 years, and only had 2 or 3 sentences per page (I suppose they had to be good sentences! hehe). You just approach the publishers – email me if you would like more info. @Stacey – yes – I think those kinds of preparation are providing structure, too. @Ari – thanks! That’s really interesting about those children’s songs. @Lance – thanks – interesting that you had thoughts slip in while on the way home, like Mum did. @Peter – hi there and thanks! – you’ll have to pop back some time. 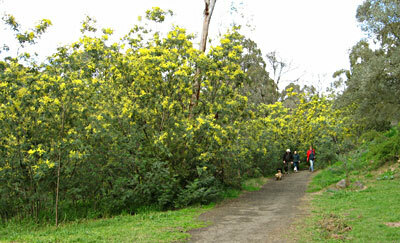 @Davina – ha ha – come for a visit and we’ll go for a walk in the parklands. You are rockin Robin! Thanks for the tips. If you are writing for clients, as I do a lot, I have found another tip is if I am suffering from NWS (no word syndrome) for one project, I can begin typing on the page designed for the project I am stuck on- but write for another project I have something to say about. The very act of writing, of movement, of creative flow or at least gibber jabber releases words on the original project without much effort. Looks peaceful and I love green. The weather here in NJ is so fab right now. Hot days and cool but not cold nights. Just good ole grab a comforter and snuggle weather. there’s nothing quite like the threat of paying back money to motivate you to complete something! also thanks for the software link, i’ll have to look them up when i get home. it was totally cool…your comic post. Hi Robin – that’s a whole heap of books. You make the writing and making the comic and stuff sounds so easy. But I bet it’s not as simple as it sounds. I like your realization about creating the structure first so that the project has some guidance. You’ve also shared the key to productivity for the self-employed. It’s the same. Once we stick to a structure discipline isn’t a chore. Robin: I am truly impressed by your publications. It takes a lot to be able to let your creativity take the lead when you have contraints such as structure, budget and others. 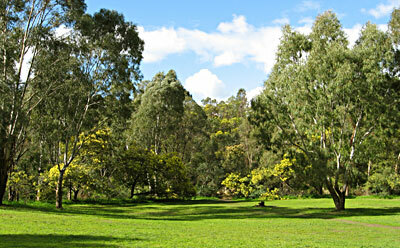 Oooh God, I just love the Australian vegetation and scenery. We are planning to visit my brother in WA in 2010. Can’t wait!!! When we stop forcing creativity and allow our emotions lead our actions we can create natural creativity. We need to push ourselves to try new things, but we need not be afraid of what others think. I’m still working on this myself, but as I put more of myself out there in my blog the easier it gets. 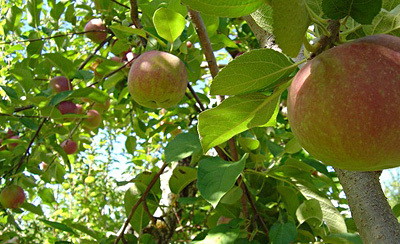 @Natural – Sounds like you are having late summer like ours – and our autumn. Hot clear days and cool nights. Great! You must get that book published! and I’m looking forward to a comic! @Cath – the books weren’t easy – in fact I find it very difficult work. The comics come fairly easily but I put quite a bit of (enjoyable) time into them. @Tom – It’s an interesting thing, because I have deliberately not had much structure for a long time – but the structure crept in where it was needed. For example, I have been a big believer in staying in bed for as long as I like in the morning, for a long time – which a lot of people would frown on. @Urbane Lion – Thanks U.L. – will you make it over to the east coast? Melbourne tends to empty out in January, because everyone goes away for the summer school holidays. @Karl – yes I think it gets easier as you do it more – I’ve noticed that with my blog, too. Dear robin, thank you for showing so much of your personal life. Under which name are your books published?…. The great thing about your posting pattern is that I haven’t missed anything since your last post. Thank God! Anyway, all the things that you have done are the things that I want to do. I want write a song and I want to write a book. But in order for me to do all of these things, I must have structure. Also, thank you for “Comic Life” I’m goign to give it a try and have fun with it. Lastly, thank you for being a great friend! @Chris – Oh Chris – I value your friendship so much (though I’m replying here so late you probably won’t see this). I’m looking forward to your comic – I have been hoping you do one with your family pics. As you say, when you listen to yourself, it does not matter whuch words flow in what order. The important thing is that you perrmit energy to flow and this faciltiates your own creative process. Liara Coverts last blog post..How to access your deepest inspiration? story between uss last blog post..The man who made millions cry.. I sure like when the words just slip in too. And when you stop hammering at them they usually do. True about the 12-bar blues and it’s twice as easy as easy , ’cause you mostly repeat all the lines twice anyway. Writing a book – probably will never do that. Jannie Funsters last blog post..Does It Mean I’m Crazy? I know you so much better now. ! And LOVE your kids’ song! Super lyrics in that craters / alligators. Kids would just love those, yes. Would you and Frank please movr to Austin? Thanks, appreciate it. We don’t have any of those Maori Wrasses here but we do have lots and lots of things you both would love here. Trees. Organic stuff to eat and wear. Beer. Donuts. Nice air for breathing. I think you’ll like my post tomorrow – well, actually today… “10 Great Mysteries Of The Universe, 2” If I ever get to bed I’ll be posting it in about 6 hours from now. And you’re already at lunch time or so as I post this. .-= Fannie Junster´s last blog ..Goin’ For The Page Rank Juice =-.